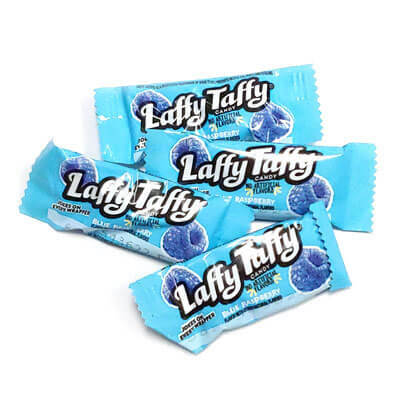 The classic fun fruity, soft taffy candy in blue raspberry flavored mini bars. Comes with jokes on every wrapper! Approx. 3 pieces per ounce. 9 oz.